Arsenal Football Club have a huge job on their hands in finding a head coach or manager to succeed Arsene Wenger come the end of this season… many Blues hope that Everton have long since commenced such a search, interview and recruitment process in readiness for what many hope will be an early departure for Sam Allardyce. The appointment of the right manager is absolutely crucial to the success on the field of any sports club, but in the heady world of the Premier League, with the millions at stake, it’s even more important that the powers that be do their homework, due diligence and perfect their interview techniques in order to secure the right appointment. The same care, consideration and action of a proper process is equally if not more important in appointing a Chief Executive Officer (CEO), because that person is primarily responsible for providing the direction, leadership and vision needed to take a business forward and improve performance in all the critical areas. When Keith Wyness resigned his position of CEO at Everton back in the summer of 2008, Robert Elstone – who had joined the club in 2005 as Deputy CEO to Wyness – was the ‘right’ man in the right place at the right time to take on the role initially as Acting CEO in August 2008 before being confirmed as CEO in January of 2009. Elstones’ internal and arguably understandable elevation inside six months suggests that perhaps the club didn’t choose – at that time – to go to the marketplace for a replacement for Wyness? Elstone was in situ, knew the club after three years in his previous position, but with the benefit of hindsight, can now – not unreasonably – be judged to have been a safety-first, cautious appointment. Over recent months there has been rampant speculation that Elstone, in similar fashion to Wenger leaving Arsenal, will depart the corridors of power at Goodison Park come the end of the season in favour of a return to Rugby League – from whence he came – to become CEO of the league itself. He was somewhat embarrassingly spotted and photographed attending a Castleford Tigers game on the night Apollon Limassol visited Goodison in the Europa League this season, and there have been numerous stories in newspapers and rugby magazines that it’s happening, but nothing whatsoever to that effect has been communicated from or by Everton. Given the amount of coverage, we have to assume there is genuine mileage in the speculation and stories and thus Everton will already be looking for a new CEO. In recent months if not years, Blues supporters have yearned for the club to appoint a real businessman and someone who really knows football – a David Dein or Martin Edwards type of CEO. If Everton are going to make such a bold and many would insist absolutely vital appointment, then the identification, qualification and interviewing for such a high profile position needs to have commenced and the process involved needs to be nothing short of exhaustive. 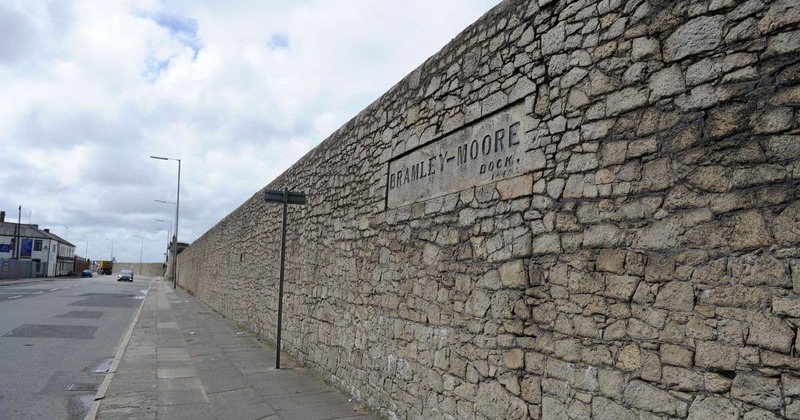 With the impending construction of and move to a brand new stadium at Bramley Moore Dock and the hugely important need for Everton to massively improve, expand and maximise on all current and new commercial and corporate partnerships, to my mind at least, the club cannot afford to and should not consider another safety-first, cautious appointment for the new CEO. When Farhad Moshiri arrived, Evertonians prayed that an era of stagnation, under investment, no silverware and caution was at an end. Finally we had a wealthy, hard-nosed businessman on board, the kind of character who would (hopefully) drive the club forward with a much more professional, business-like approach. An approach that would leave no stone unturned in seeking the very best for the club he’d become the major shareholder in. An approach that would hopefully see an evolution of change in the way the club is run and how we go about recruiting the very best available in the marketplace to fill positions as and when they need filling. With the issues Everton need to address, particularly in the generation of massively improved revenue streams, it is to be hoped that the club will conduct an exhaustive search for high calibre candidates. People who have a proven track record of international business because we need to improve our global awareness and commercial appeal; people with a proven track record of project management, goal setting and exceeding them, people who are dynamic, inspiring and can lead a staff to never accept second best, to always seek better and achieve… excellence. Currently Denise Barrett-Baxendale, the Executive Chair of Everton in the Community and a member of the clubs Board of Directors, holds the position of Deputy CEO in exactly the same way Elstone did to Wyness… so I pose a hypothetical question of could this put her ‘in the frame’ to be the replacement for Elstone ? There is no doubt at all that Mrs Barrett-Baxendale is a talented and driven person, the tremendous work of EitC and the number of awards achieved during her tenure as Executive Chair are testament to her ability and prowess in those areas entrusted to her. Such has been the success of EitC, and the profile and recognition it has gained while football matters have stalled and failed, some have maybe cruelly suggested that EitC is a charity with a football club in tow, rather than Everton being a football club and business with a magnificent charity as part of its portfolio. However driven and talented she may be, has or would she have the necessary wherewithal to be the kind of CEO that the club undoubtedly need ? Everton need to fully investigate and succeed in securing a major naming rights deal for BMD to cover some of the costs and attract more commercial and corporate sponsorship revenues to allow the footballing side of the business to truly compete and attract the best players to feed the desperation for the club to truly and sustainably return to the very top of the Premier League and as serial contenders for silverware. Everton need to seriously review and improve all existing commercial and corporate activities because as has been widely pointed out, not only are we miles behind a peer group of the current ‘top six’ but we’re falling further and further behind with every day, week and month that passes. If we’re not careful, if we don’t make the right appointment, if we adopt a safety-first, cautious approach, we risk, and it’s an immense risk, never being a true force in English football again. I’d like to offer just two questions of Mrs Barrett-Baxendale (and every other candidate) in the true spirit of wanting the absolute best for our football club and at the risk of being seen to be unduly disrespectful… and more importantly, in the event that Chairman Bill Kenwright and major shareholder Farhad Moshiri would consider her for the CEO role. Does she/they have the necessary negotiating experience and skills to deal with players agents and transfers ? Does she/they have the hard-nosed business experience and strength to represent the club in Premier League meetings when the need to argue the Everton case against the ‘top six’ will be crucial to the club maintaining some level of equilibrium while the commercial side gets its act together and grows ? These to my mind are absolutely crucial and far smarter people than myself would no doubt add a host of others. If the answers to just these two questions are No or there is any shadow of a doubt, then the potential elevation of another internal candidate to a role they’re not perfect for needs to stop and the club must go in a professional manner, to the marketplace to find the right candidate. It’s that crucial, and we simply can’t afford to get it wrong.